It can be the worst feeling in the world when you accidentally delete a very important file you have been working on for days. 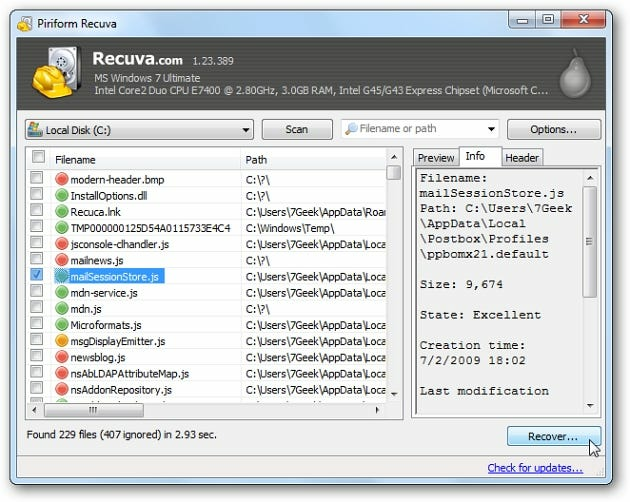 Today we look at Recuva, a free tool that helps you restore accidentally deleted files. Recuva is developed by Piriform which is the same company that brings us two other trusted utilities CCleaner and Defraggler. 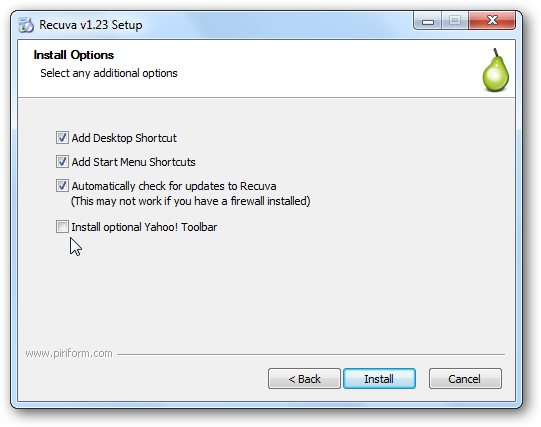 This is a free app but you will want to uncheck installing the Yahoo Toolbar if you don’t want it. 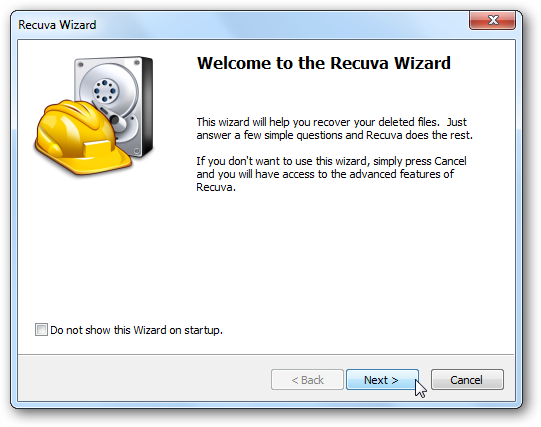 When you first start up Recuva it brings up an easy to follow wizard which guides you through the recovery process. There is an option to disable this from starting up if you don’t care to use it. Now choose the type of file your trying to recover. If you’re not sure click on Other to show all files, this is handy for obscure file types as well. Select the location of where the file was located. 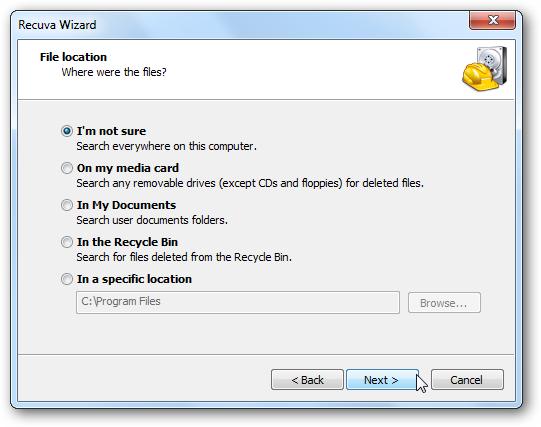 You can choose removable media, certain directories, or search everywhere on the computer. 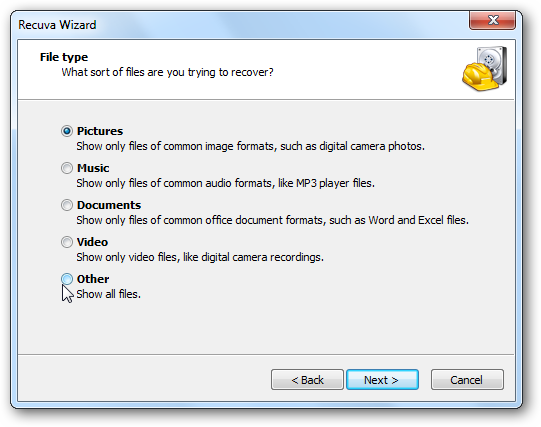 Wait while Recuva scans your system for deleted files. When you get the results it will show the file(s) and the green or red dot next to them lets you know how likely they will be restored without any damage. Here we show advanced mode where you can preview the different files found. 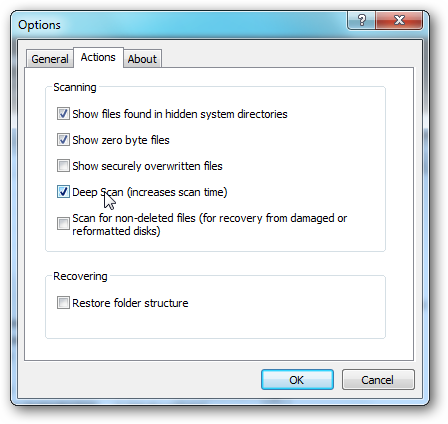 There are some good options you can set to change the way it scans for deleted files. One feature is Deep Scan which does a more thorough search but takes more time depending on your system. It will find deleted data even if it has been emptied from the Recycle Bin. It is not going to work every time especially on files that have been securely deleted, corrupted, or overwritten. A best practice is to use this as soon as you realize a file has been deleted.